Requirement: A top Hampshire school with cleaning needs, ranging from kitchen deep cleaning, kitchen extract system deep cleaning, high level specialised access cleaning in communal and classroom areas and large surface area pressure washing. 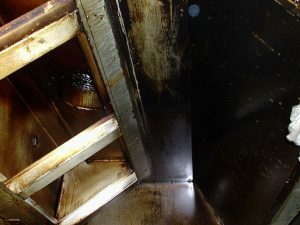 Kitchen & kitchen extract system deep cleaning: A twice per year regime is set in place to deep clean the main kitchen and main kitchen extract system; this takes place during school holiday periods avoiding the busy term time schedule. The cleaning is tailored to fit the school’s requirements taking into consideration budget, whilst maintaining exceptionally high standards as befitting the school’s prestigious reputation. 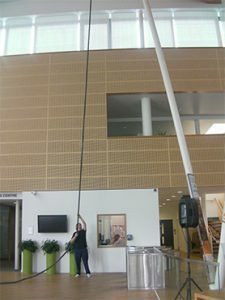 High level specialised access cleaning: The school has several high level areas that require regular cleaning each of which pose different problems in terms of specialised access. 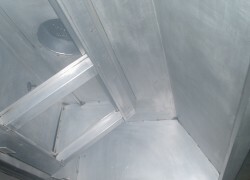 Several classrooms require high level cleaning but have fixed workbenches prohibiting the use of scaffold platforms or powered access; our solution is the use of our specialised SkyVac systems which allow for vacuuming up to 40ft from the floor negating the need for our operatives to work at heights. 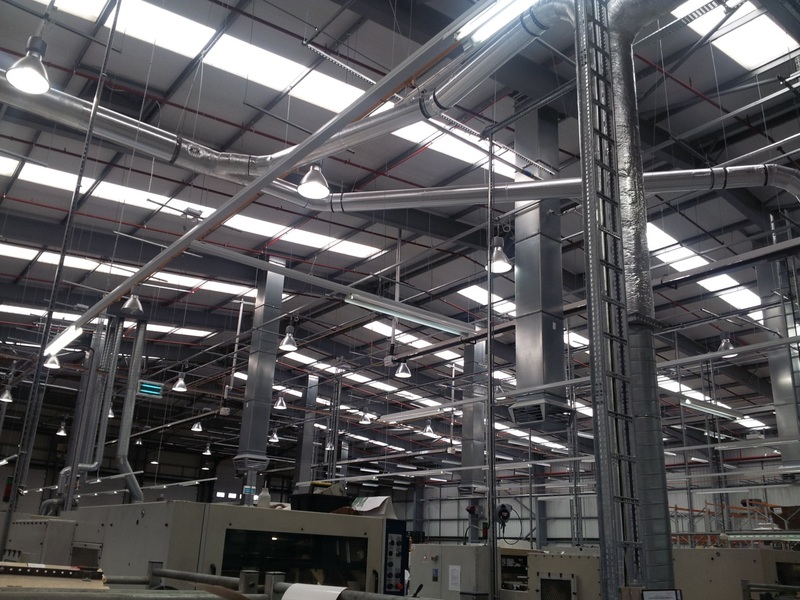 This system has multiple functions ranging from normal vacuuming to gutter cleaning, a diverse solution for a diverse company. 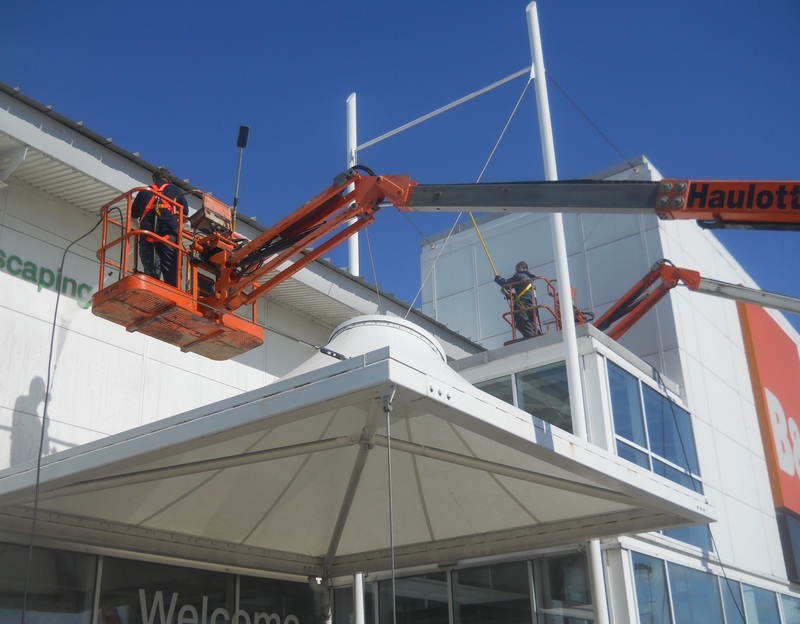 The school has a glass atrium entrance which requires regular window cleaning internally/externally and annual support structure cleaning, the external glass is easily cleaned by our pure water reach and wash system. In order to clean the internal glass and support structure a narrow gage scaffold tower is erected enabling our operatives to clean the glass by hand (still using pure water) minimising the water drainage to virtually zero; which is vitally important as the entrance is carpeted and cannot be soiled in anyway. Pressure washing: A large entrance area and new playground required pressure washing in preparation for a grand opening including VIP visits and open days for perspective new students. We were asked to complete the works within a tight timeframe whilst students where still attending other areas of the campus. We put together a full health and safety package which was setup and implemented during the works by a member of our management team. 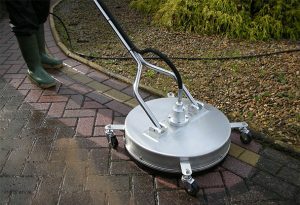 Through the use of our specialised pressure washing plates we are able to clean large areas at high speed whilst maintaining the quality of the work, where required we used our high level pressure washing lance to reach up to 15ft from the floor once again negating the need for our operatives to work at height. The end result was the works completed on time, in budget and without interruption to the normal school operations.